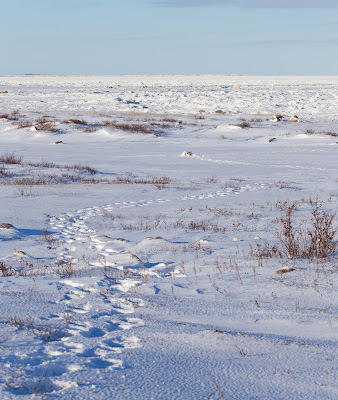 Today I went out with a photographer from Alberta, exploring the wildlife of Churchill from the road system, in contrast to the tundra buggy tour yesterday. It was the first beautifully clear day of this year's trip, and felt intensely cold. The sea ice was in shore, and we saw a polar bear family on the ice. 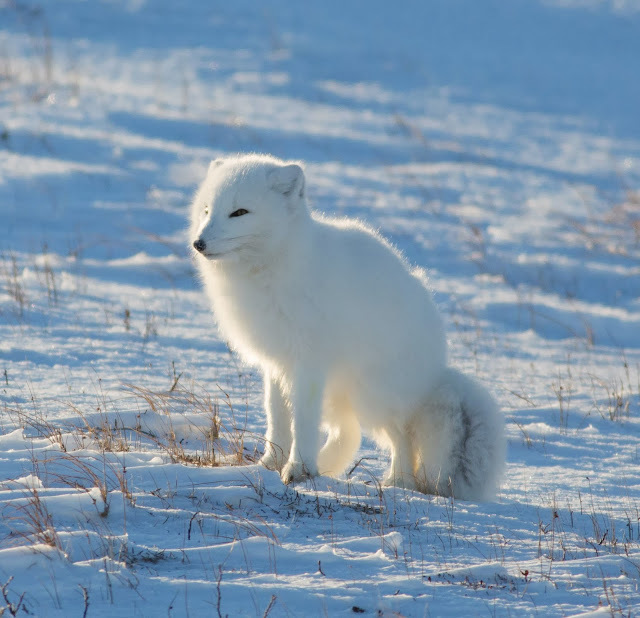 We also observed beautiful arctic and red foxes. Life is hard in northern communities, and co-operation is an essential for survival. We rescued some tourists stuck in a snow drift in a SUV tonight; whilst talking to other drives is helpful for tracking wildlife. I was happy to meet Kelsey Eliasson earlier, who writes the Polar Bear Alley Blog and is an excellent source of up to date news on developments in Churchill. Below are some of my pictures from the day. Tonight's lecture was entitled 'A Year in the Life of a Polar Bear'. 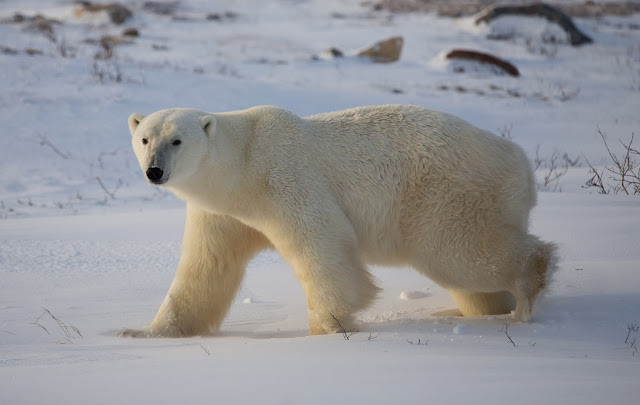 We found out that there are approximately 20-25,000 polar bears in the world, of which 16,000 are in Canada and 600-800 are in the Western Hudson Bay population. 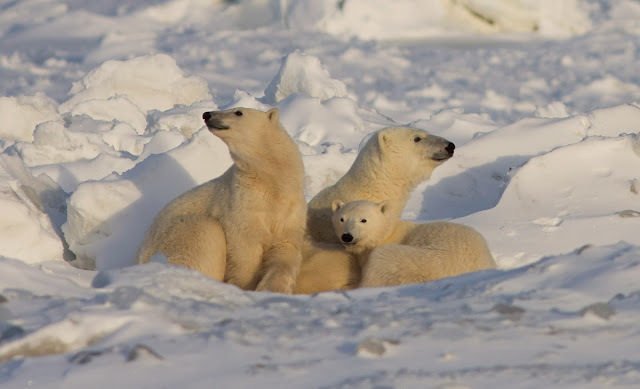 Below is a brief summary of some of the key events for polar bears. 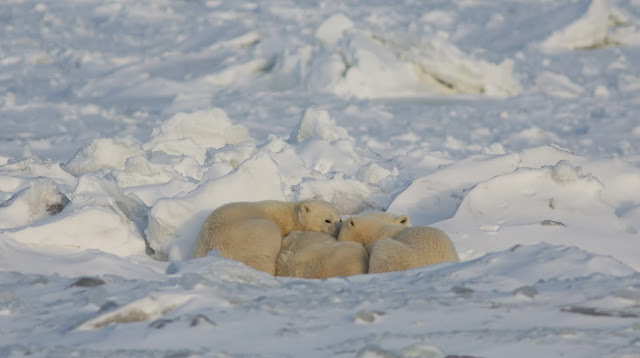 Bears congregate around Churchill waiting for the sea ice to form. 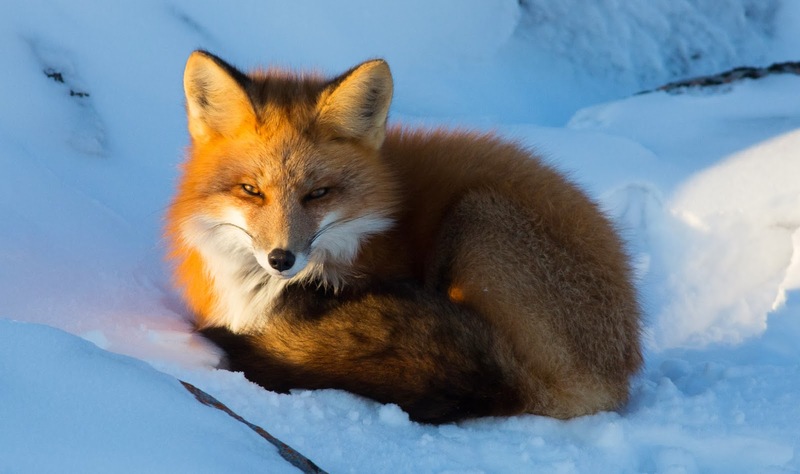 They have been fasting since July and in a state of walking hibernation, similar to black and brown bears, with a slowed heart rate, but unlike those staying alert. 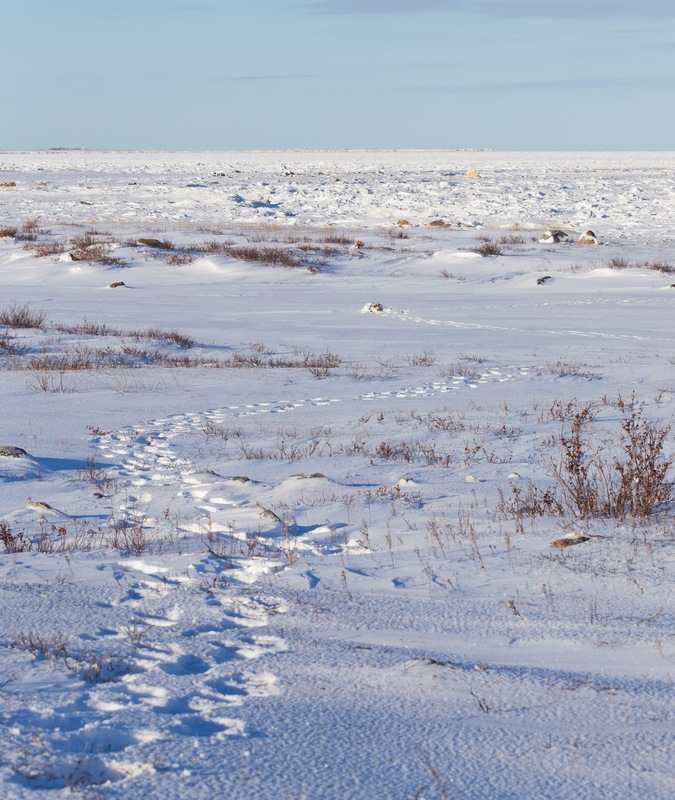 Pregnant females move in the other direction to the denning area 8-10 miles from Churchill. They are delayed implanters, so whether the pregnancy continues depends on their bodyweight. Cubs here are born in December in these southern bear populations, partially developed and blind, so the den acts as an artificial womb to protect them. Females with cubs weighting around 7kg (15lb) emerge from the den. This is also mating time for polar bears and the time seal pups are born. The bears gorge on the fat from pups, putting on weight quickly before the summer fast. 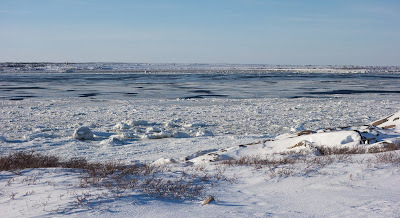 The ice breaks up in Hudson Bay, and so the fasting season begins. Importantly, the decline of the Arctic ice extent was also discussed in detail. The summer Arctic sea ice extent this year was the 6th lowest in the satellite record. However, in 2012 the extent was the lowest ever. This creates a positive feedback loop, because open water is a dark surface which absorbs sunlight and heats the sea further. 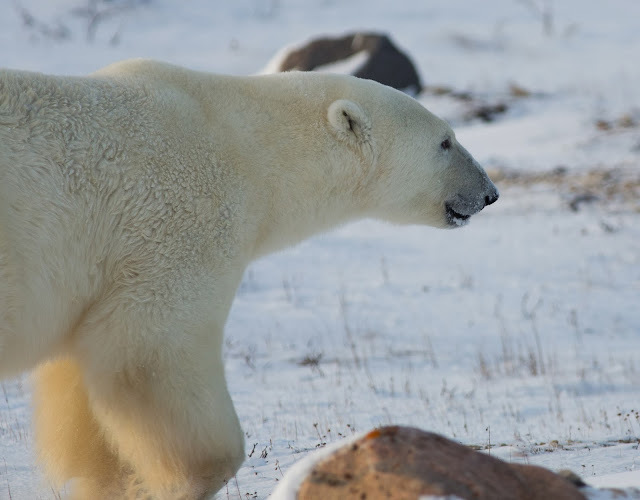 Polar bears are totally dependent upon ringed seals for their survival, and their habitat is the ice. Furthermore, there are two types of sea ice: annual and multi year. 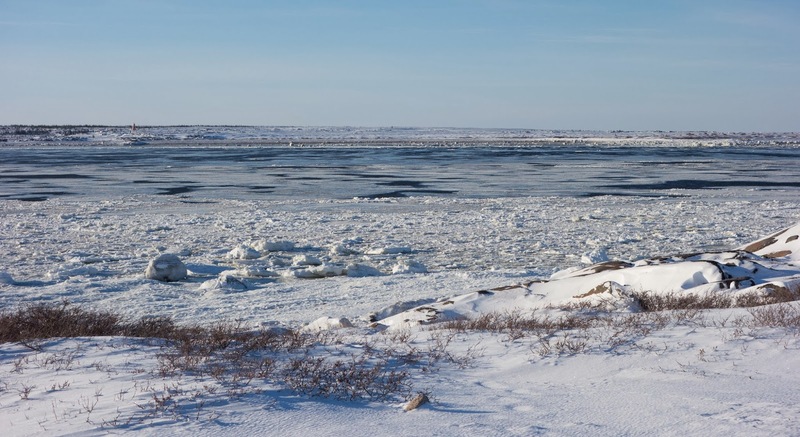 The ice which forms and melts each year is the most productive, as it is thinner and allows light to penetrate, providing more nutrients for seals. 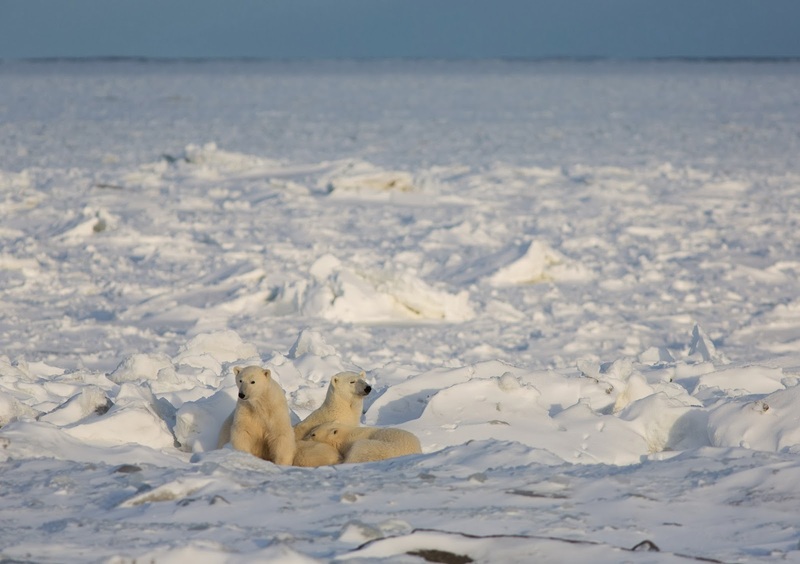 The problem for polar bears is that annual ice is disappearing the fastest. The crisis in summer sea ice extent is currently most acute in Alaska. I will be discussing the implications of this change for human behaviour in the conclusion to this blog. Tomorrow, I will be once again exploring the area around Churchill by road in pursuit of photographic opportunities and dodging snow drifts.